This is an advertorial in collaboration with LookFantastic. The festival season is in full swing and to me it's all about expressing yourself in fun and creative ways. Live music, boho attire, flower crowns and of course - colorful makeup! 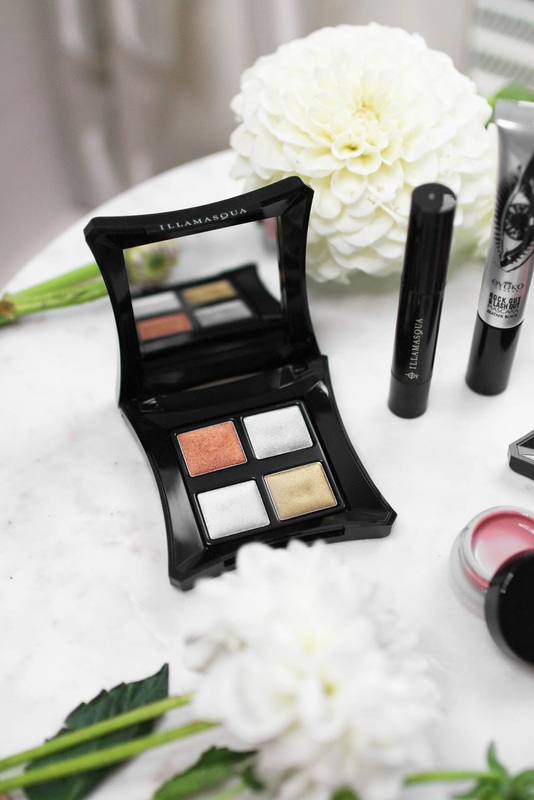 I have teamed up with LookFantastic to create a festival makeup look using some incredible Illamasqua products and the best part, one lucky winner has the chance to win all of the products I'm mentioning in this blog post. You can enter at the end of this post through the Rafflecopter widget. 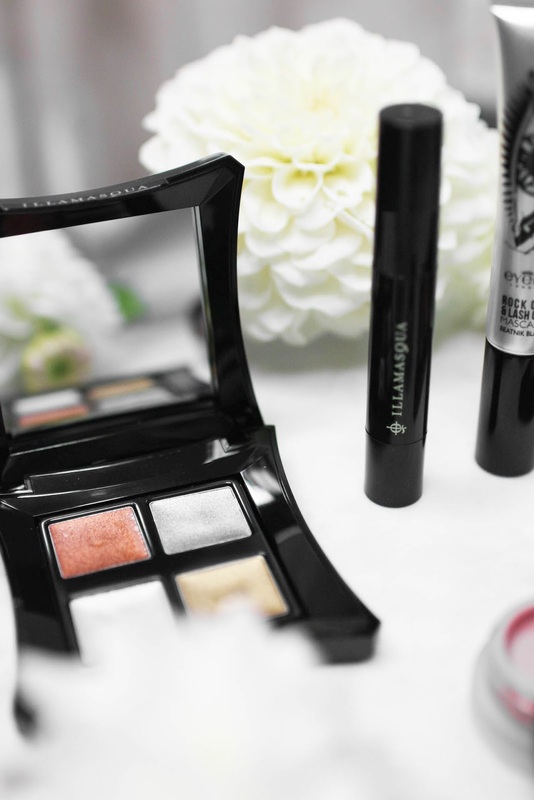 The highlight of this makeup look is without a doubt this stunning Illamasqua Liquid Metal Palette. This palette combines four shades of cream eyeshadow with a beautiful metallic finish in a mirrored compact. 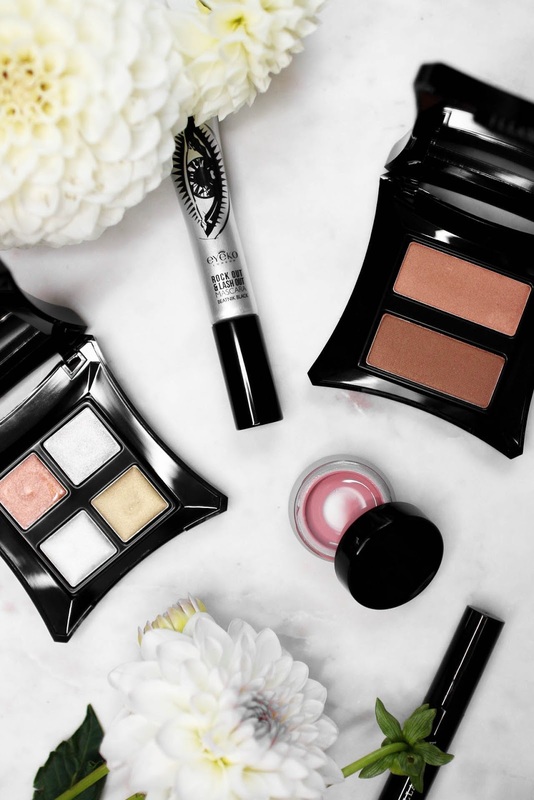 The shades are extremely rich and super high-pigmented, I love the creamy texture and how effortlessly these colours melt onto the lids. I used the shade "Enrapture" which is a stunning bronze colour all over my lid and blended it with my fingers. All of these shades can also be used on the face and body. I also love that you can either apply these colours separately or blended together to create customised makeup looks. I then used the colour "Electrum", the perfect shade of gold, in my inner corners as a highlight. Since this is a festival makeup look, I had to add a pop of colour to my eyes using the Illamasqua Sketch Stick in the shade "Free". This crayon is super creamy and I adore this shade of blue. The formula glides effortlessly across the skin and can be built up for a vivid splash of colour. To finish off the eyes, I applied a few coats of the Eyeko Black Out & Lash Out Mascara. 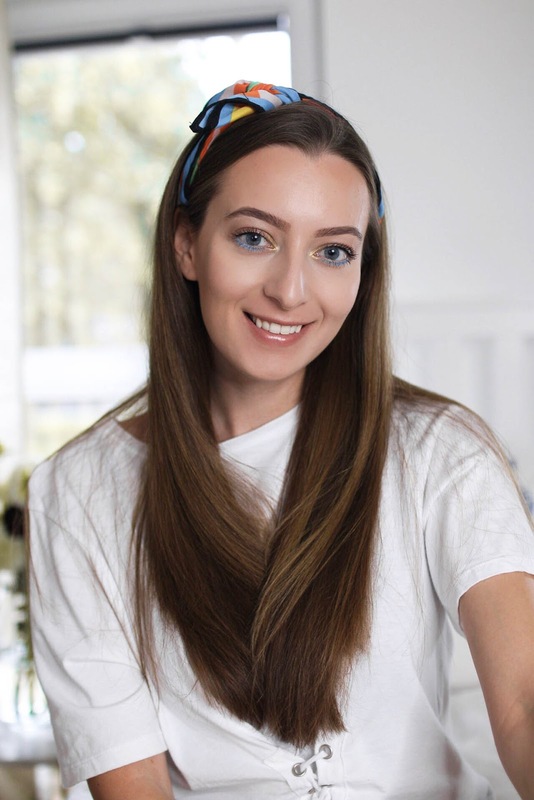 I'm a huge fan of Eyeko mascaras, their formulas work so well to thicken and lengthen your lashes without smudging. Moving on to the face, I used this stunning Illamaqua Bronzing Duo in the shade "Glint/Solar". 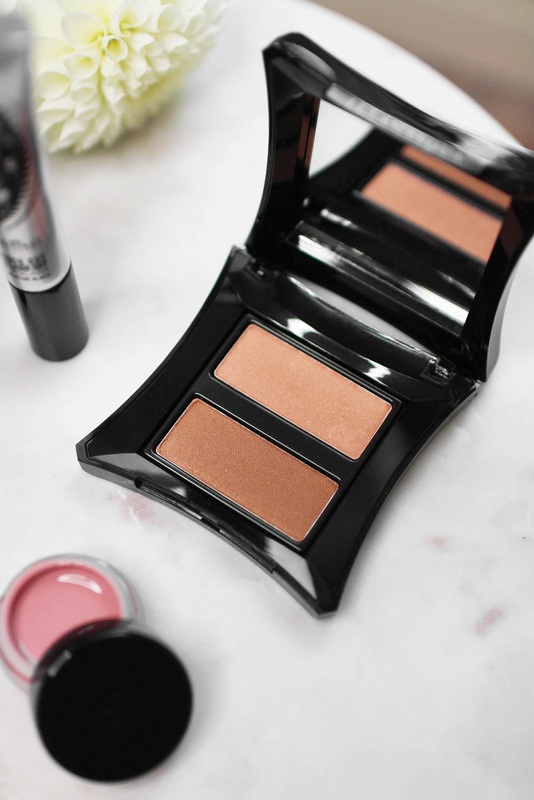 This is such a beautiful compact combining two sunkissed shades to bronze, contour and highlight. The colours can be worn alone or blended together depending on your preference. This duo leaves my cheeks looking radiant and glowing and I love how easy the powders blend with a fluffy brush. They add such a lovely subtle shimmer. To add a little bit of colour to my complexion I then used the Illamasqua Colour Veil in the shade "Frisson". This is essentially a hybrid blusher that combines the long-wearing pigment of a powder with the innovative properties of their best-selling Hydra Veil Primer. This gel blush feels super hydrating and is very easy to apply. It has a soft, jelly-like texture and blends seamlessly onto the skin. This is such an interesting product and I've never tried anything like it before. I especially love the shade "Frisson" because it looks super natural and healthy. Enter the giveaway through the Rafflecopter widget below. You have to follow me and LookFantastic on Instagram to enter. The giveaway is open internationally and will run until 20th July. Good luck! 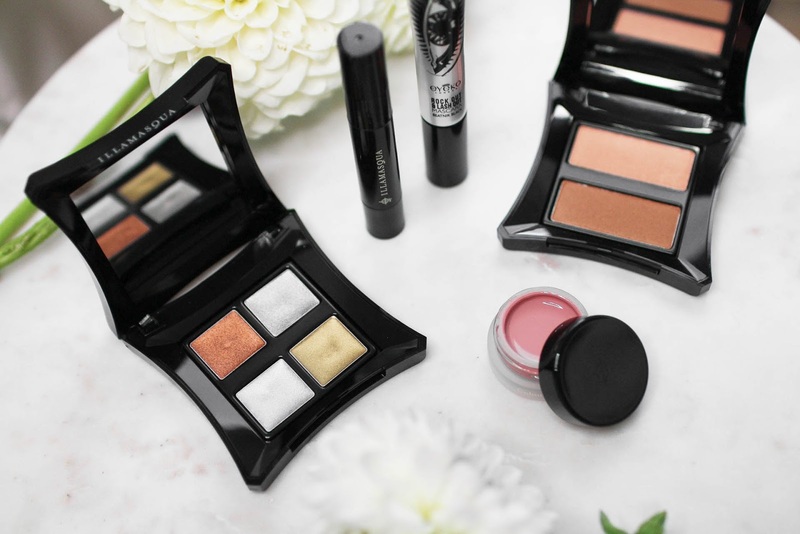 - Illamasqua Bronzing Duo "Glint/Solar"
- Illamasqua Gel Blusher "Frisson"
- Illamasqua Sketch Stick "Free"